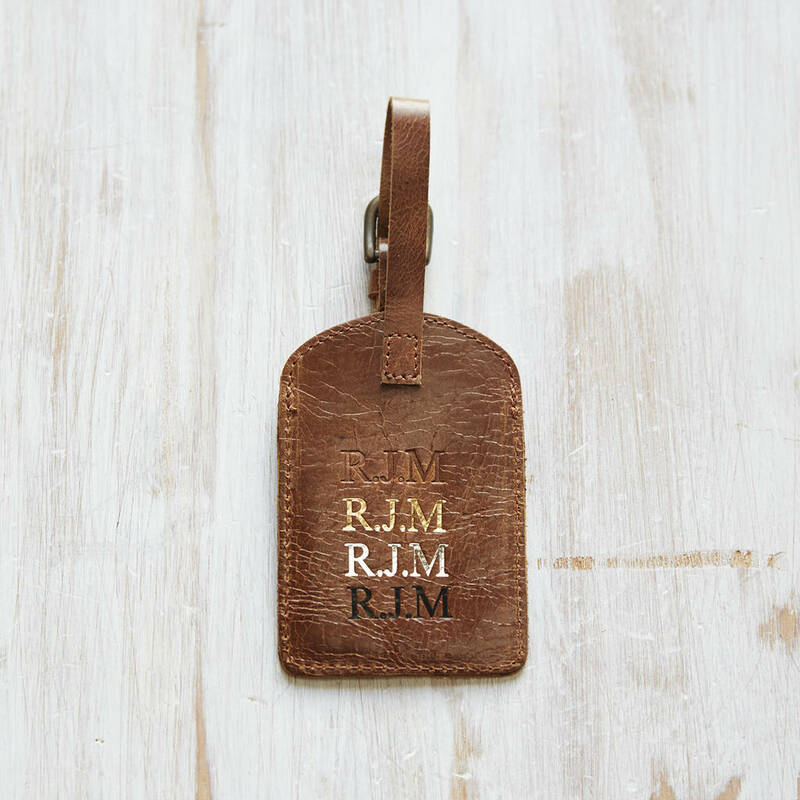 A beautifully simple handmade leather tag – the perfect finishing touch for your luggage. 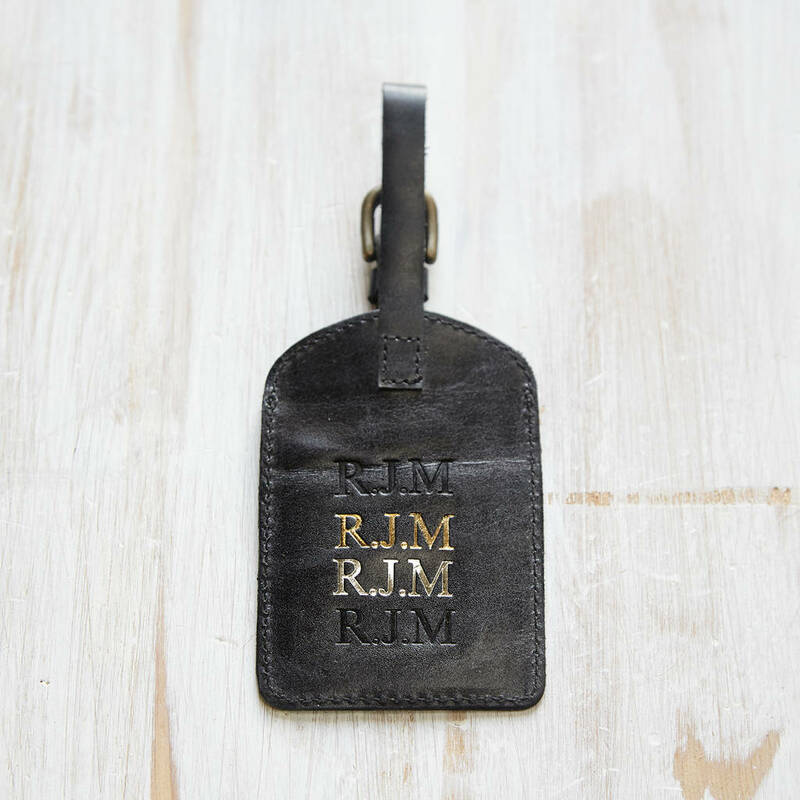 Each luggage tag is entirely handmade from leather by our lovely artisans in India. They have created an authentic and yet practical tag to ensure your luggage will always be travelling in style. The smooth, natural leather will get even better looking with age. The more you use it, the more the natural leather softens and develops a character of its own. 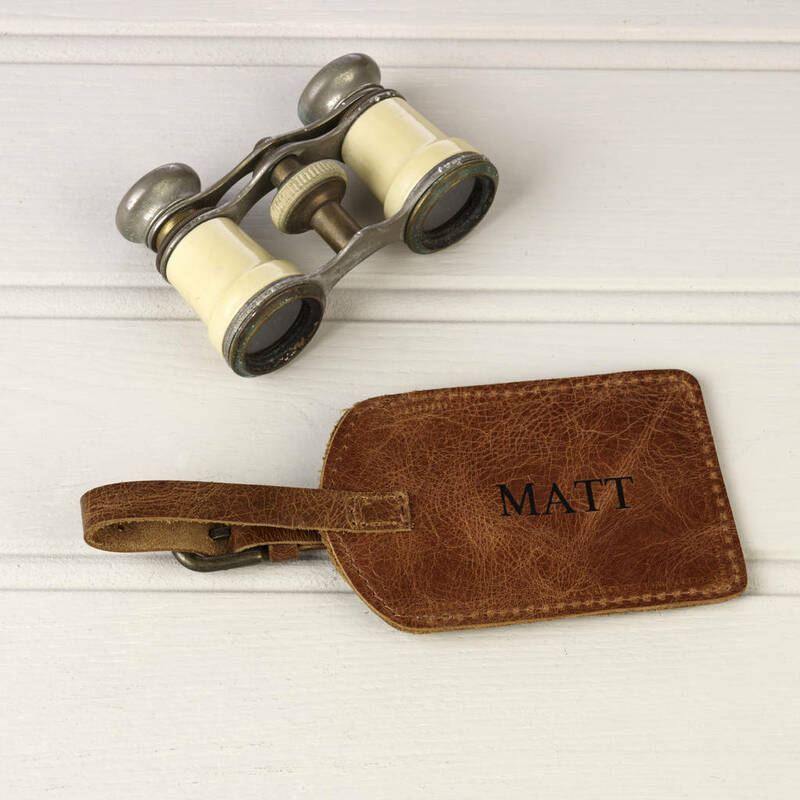 It is fastened to your luggage with an easy to use, adjustable buckle fastening on a leather strap. 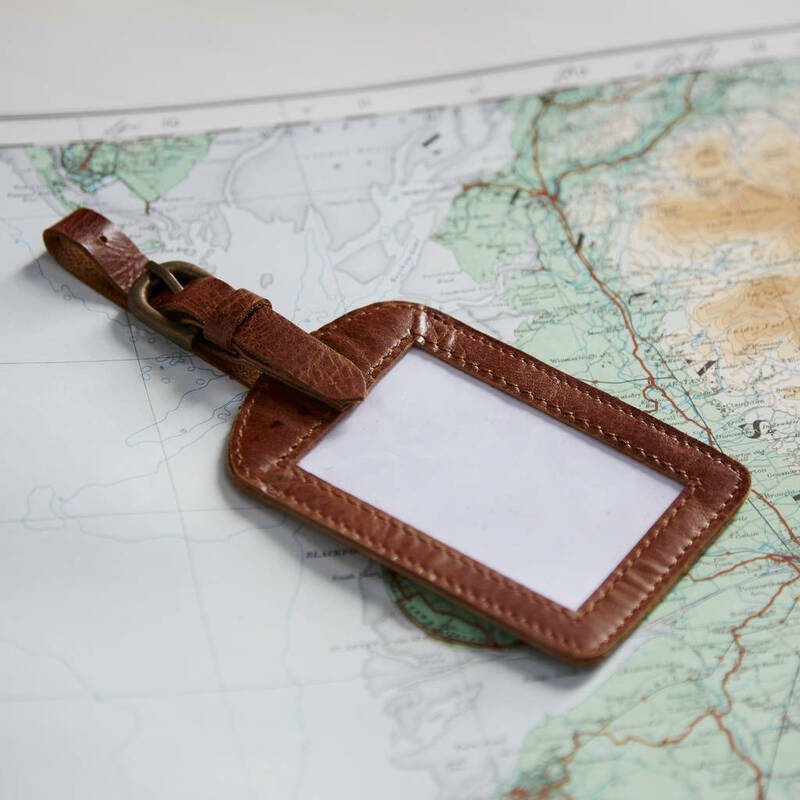 It also features an easy-to-access transparent sleeve compartment to insert your name and address details to, hopefully, maximise the chances of getting your luggage returned to you. 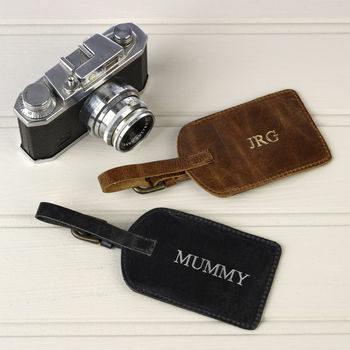 Personalise your luggage tag with your choice of initials or name to be embossed on the front of the tag. Available in either black, gold, silver or blind debossed (no colour imprint). We are delighted to be working with a new Fair Trade partner, Conserve India, who are the producers of our new range of canvas bags. Conserve India was born out of a desire to reduce India’s mountain of waste and there is a strong emphasis on recycling and repurposing of materials all while improving the lives of some of the poorest people in India. It employs and trains hundreds of people from Delhi’s most disadvantaged communities to create beautiful products from the waste and the profits are put back into the same communities to improve education and welfare.